A full length show featuring some of the best of Joyce’s hilarious songs and monologues from Stately As A Galleon and School Nativity Play to A Terrible Worrier and First Flight. 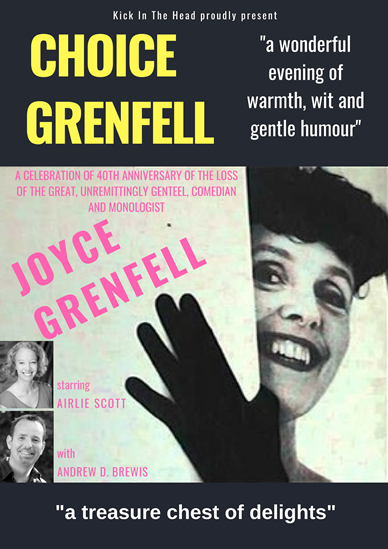 Joyce is our guide for a delightful delve into some of her most endearing characters, ably accompanied by her trusted pianist William Blezzard. As Joyce would have said “We request the pleasure of your company” in the company of one of Britain’s best loved comediennes.